One of the Food and Drug administration groups will have a meeting on July 15, 2010, to discuss one of the weight-loss medications which are about its release. The name of the medication is Qnexa, and two other medications are Contrave and lorcaserin. 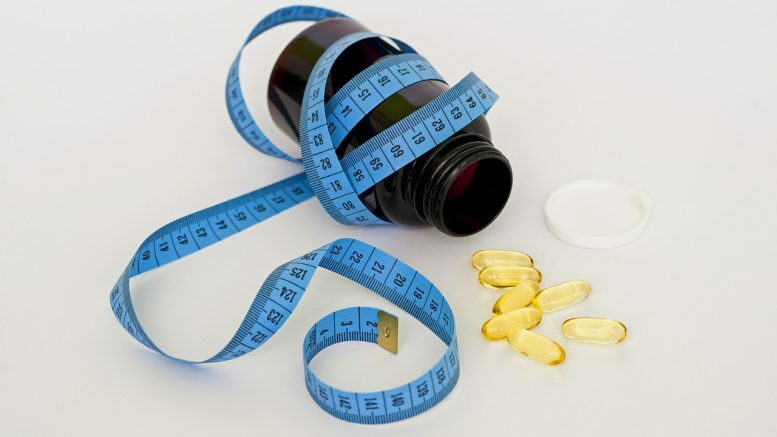 The only issue is possible because of the spotty history of weight-loss medications: some medications were proved as ones with modest effect, while others were considered extremely dangerous. For now, it’s not completely clear, whether the new medications will be more effective than any other weight-lost medication available on the U.S. pharmaceutical market, but the medications which will be discussed designed to avoid most of the serious side effects of this kind of drugs. New medications were designed mostly for obese people with the body-mass index (BMI) about 30 or higher, so they are not intended for people with “undesirable weight” who just wish to look better. Also, these medications should be taken by people who have serious health problems like high blood pressure, diabetes etc. An associate executive director for clinical research at the Pennington Biomedical Research Center (Baton Rouge, Louisiana), Donna Ryan, M., said safety was paramount and these medications must be taken for years without any side effects. Prior to 2008, Ryan was a consultant to the manufacturers of lorcaserin and Qnexa. One of the drugs, which will be discussed by FDA, lorcaserin, works by stimulating serotonin receptors (note, that Redux and Pondimin have the similar effect), but unlike any other drug, which works this way, lorcaserin affects only one type of receptors, which allow the drug avoid the common side-effects (like hearth-valve issues). Nearly half of all the people, who took lorcaserin lost about 5% of their weight after using the medication for the year, compared with 20% of those who was taking a placebo, reported New England Journal of Medicine. No heart-valve issues were reported during the two-year period, said the same study of NEJM. Another medication, Qnexa, should be taken once on daily basis, uses two steps to help people with the weight loss. The first step should be made by Phentermine. It suppresses the appetite of the patient. The second step is made by topiramate. Topiramate should treat seizures and severe headaches; it will be used a mild stimulant for short-term weight loss. So, in total, Phentermine will make the appetite lower and topiramate will make the patient feel like he had enough and he will feel full. About 70% of people, who took Qnexa lost about 5% of their weight, compared to that 15 % who took a placebo. Interesting, that people, who took higher doses of Qnexa lost twice as much weight in average. Contrave will be the third drug discussed by FDA group. The FDA have already approved two drugs which are in the composition of Contrave. The first drug is naltrexone and it will be used for reduction of addiction to palatable foods. The second one is bupropion and its used for cessation of the smoking and can reduce food intake. There’s no information about the effectiveness of this medication compared to Qnexa and lorcaserin. There is no doubt, that the main concern of the FDA is potential side effects of all the drugs they will discuss. As for now, they noted fenfluramine to be the part of Qnexa. The same substance was the part of another drug for weight-loss and caused a lot of heart-valve issues, even deaths before 1997. In Qnexa, this substance is used in the lower amount than it was used in Fen-Phen, but still, FDA is paying a lot of attention to Qnexa because of fenfluramine. Qnexa was linked to a mall risk of increased heart rate and heart palpitations. Also, the FDA found the increased risk of cognitive side effects. Needless to say, that safety concerns were the reason of disappearing lots of weight-loss medications from the U.S. market. For example Fen-Phen, Redux, and Pondimin. All of these drugs contained fenfluramine in different forms. Rimonabant was pulled from the shelves in Europe and didn’t get its certification in U.S., because of its psychiatric side effects. Not taken from the market, but with the warning from FDA, Alli and Xenical are continuing to be on the shelves, but with the decreased sells rate, because of the reports of the fatal liver error, caused by these drugs. Goutham Rao, M.D., clinical director of the Weight Management and Wellness Center at the Children’s Hospital of Pittsburgh, Pennsylvania thinks, that patients should focus on the healthy style of living, not weight-loss medications. That’s the main reason, why new medications will not be welcomed by physicians, even if they will be considered totally safe. Unlike previous medications, new medications are trying to address the safety concerns by the different approach. Rao thinks this approach is leading to the false notion about health care providers and their patients. It’s like a “magic pill”, that will resolve all the weight issues. He added this approach distracts the society from rational alternatives, like policies for limiting of advertising unhealthy food or better educate consumers about the caloric contents of food. He says he prescribes medications which include topiramate and bupropion to those patients, who are working hard on their weight, but he refuses to keep any patient on these medications more than half a year. According to Marc Cornier, M.D., an assistant professor of endocrinology at the University of Colorado Denver, most people who will take Qnexa or same type of mediation can expect to be on them much longer than 6 months. People, who take medications and see the benefits from it, will gain the weight back once they stop to take the medication, so they will continue to use it for a long period of time. Ryan thinks, that drugs should be taken along with the diet and physical exercises, not as the replacement. So she advises patients to change their lifestyle first and take the medications after if their efforts are not effective. “But most of the obese patients had several tries to change their lifestyle before,” she added. Be the first to comment on "Three Brand New Weight-Loss Drugs"